Touring saxophonist for The Rollingstones and acclaimed jazz musician Karl Denson calls his jazz funk jamboree the "Tiny Universe," but exhibited in its live performance is a level of musicality that is larger than life. 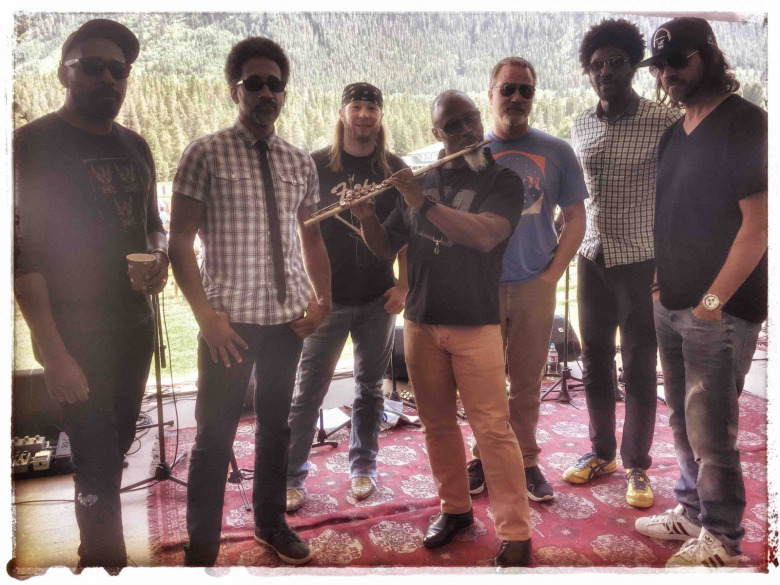 Karl Denson and his six-man troupe are set to rattle the stage at Buffalo Iron Works Friday night as part of an 11-stop tour. The collective's body of work spans all genres and contains a fearless scope of sound. The Tiny Universe tickles audiences with overtones in Beastie Boys' covers like "Brass Monkey" and creates a loose modern rock sway beat in songs like "Hang Me Out to Dry" by the Cold War Kids. Karl Denson's Tiny Universe records in the key of funk, the blues, and old school hip hop live and in the studio. Slightly Stoopid, The Blind Boys of Alabama, and Blackalicious are a few groups the ensemble has partnered with. The jazz saxophonist himself has headlined with some of music history's most gifted virtuosos, including Warren Haynes, Lenny Kravitz, Michael Franti (Spearhead), The Allman Brothers, and James Brown alum Fred Wesley which he's featured on his 2009 projects Brother's Keeper and The Bridge. On the present tour, the group will be performing material off their new album, anticipated for release later this year. The current touring members are DJ Williams, Soulive drummer Alan Evans, Greyboy Allstars' bassist Chris Stillwell, Crush Effects' keyboardist David Veith, Seattle trumpeter Chris Littlefield, and ace slide and lap steel guitarist Seth Freeman. Tickets for Friday's show at Buffalo Iron Works are $25 in advance and $30 day of show and can be purchased on the venue's website. Doors open at 8 pm and show starts at 9.